Road, tour or trail, when you're out on your bike (or hiking up your favourite local hill after work) fast and light is the way to go. And that's exactly what the Womens Terra Trail Jacket was designed for. 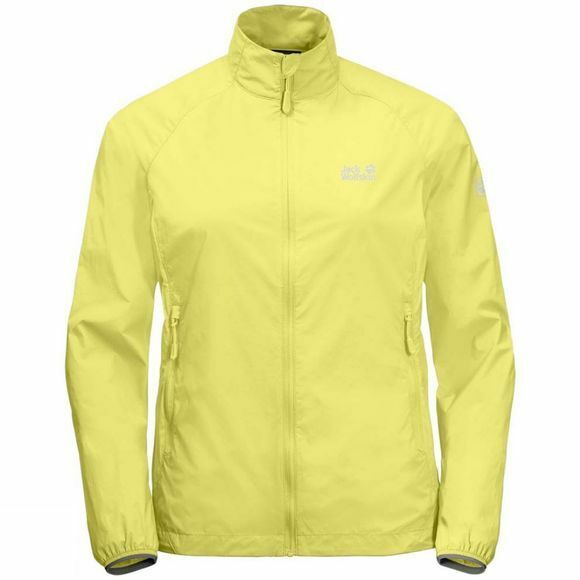 This ultra light jacket has a tiny pack size. It stows neatly in its own pocket so you can stash it in your waist pack until you need it. We've used our windproof Stormlock Papertouch fabric for this jacket. The fabric weighs next to nothing yet is amazingly resistant to wear and tear. So if you happen to be doing a bit scrambling or rock climbing there's no need to worry–this jacket can cope.